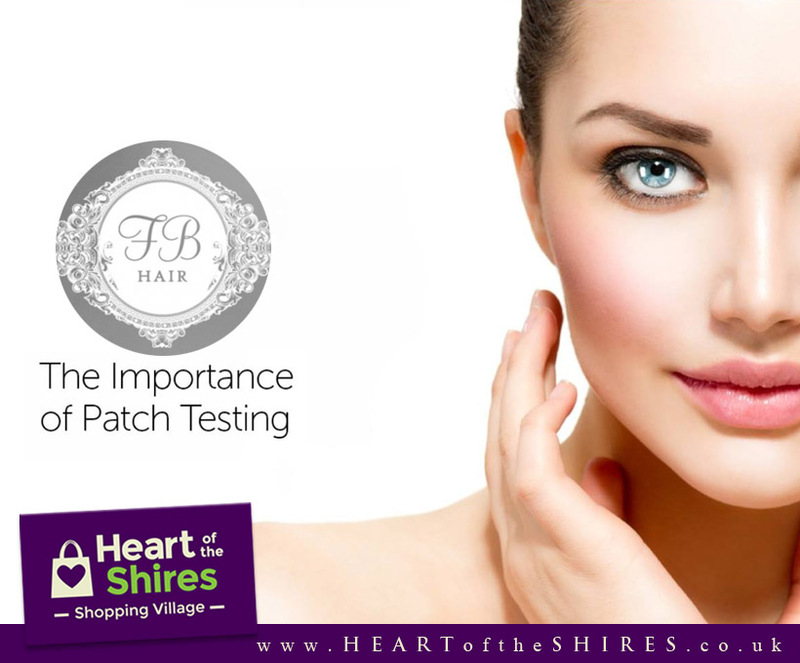 At Flutterbyes Hair it is important that clients undergo a simple colour sensitivity test at least 48 hours prior to their first time colour application, or if they have not had colour for more than three months. Skin testing is here to protect you. Just pop into the salon, based with Heart of the Shires, and ask for a skin test. One of the Flutterbyes team will perform it for you and it only takes a few minutes. Read on to find out why this is an essential part of the hair colouring process. Why is it so important to undergo skin testing before hair colouring? Skin testing is vitally important prior to having your hair dyed. This is due to the potential risks associated with an active ingredient found in most hair dyes, known as PPD (paraphenylenediamene). PPD has been proven to cause allergic reactions in hypersensitive individuals, causing very uncomfortable symptoms such as blistering of skin, infection and soft tissue swelling. Hypersensitivity can be quite common. It is an over-reaction of the immune system to what is known as an ‘invading’ hapten, such as PPD. Haptens have the ability to provoke an immune response that brings about such dramatic changes in the body’s tissues (known as an allergic reaction or allergy). In extremely severe cases, reactions can be life-threatening and these allergic reactions can develop at any time. Why do Flutterbyes recommend skin testing? Flutterbyes Hair have a DUTY OF CARE to make sure that you are protected in these circumstances. The best way of ensuring that you are allergy free when it comes to hair colouring is to come into the salon 48 hours before the application of hair dye. There you can have a specific skin test done with the Joico colour range used in the salon. This is without a doubt the safest and most efficient way of detecting any allergies that may cause damage to your skin. Even if you have been dying your hair for years and have never had a reaction before, Flutterbyes Hair highly recommend a skin test. Some people suffer reactions all of a sudden. You can develop a sensitivity at any time in your life. If you are taking medication this may vary your reaction to hair dye. Some medication suppress your sensitivity, while others may make you hypersensitive. Why does the skin test have to be 48 hours before hair dye application? In some cases, the most severe version of hypersensitivity is a cell mediated reaction which can take 48 hours to occur. PLEASE NOTE: THERE IS NO SKIN TEST FOR SENSITIVITY TO BLEACH THAT WE CAN PERFORM. Each individual has a different sensitivity or tolerance to bleaching. Different factors such as skin type (dry, oily etc), room temperature and temperature of the person’s scalp all play a part in how bleach works. It is completely normal to feel and itching or tingling sensation, even a little heat when the bleach is applied to your hair and scalp, so do not be alarmed. If you feel any MAJOR discomfort during the bleaching process, please inform your stylist immediately. For a free consultation or to make an appointment call Flutterbyes Hair on 01327 342269, today.